The opioid crisis is shaking the nation and greatly impacting young people. In just one year, 42,000 people died of drug overdoses involving opioids. That same year, 2016, 38,000 individuals died in car crashes or car-related injuries. There’s no question that this epidemic is affecting families, communities, and schools across the country. 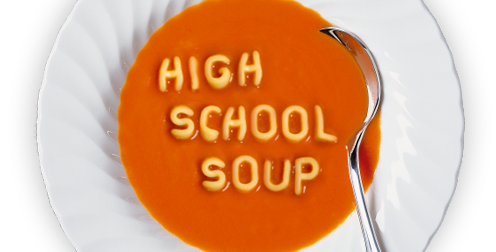 How can educators help support students impacted by the crisis? To help answer this question, Critical Window, a podcast by the Alliance for Excellent Education (All4Ed), turned to Dr. David Patterson Silver Wolf. As a professor at the Brown School at Washington University, in St. Louis, Dr. Patterson Silver Wolf teaches substance abuse courses and works to bring science and research to addiction services. He has over fifteen years of experience providing clinical services in the substance abuse disorder treatment field. This issue is also incredibly personal for Dr. Patterson Silver Wolf, who shares the story of his own experience dealing with substance abuse – from childhood into his twenties – on this episode. Listen to his story of triumph and learn how to support students experiencing similar hardships on this episode of Critical Window. Critical Window is a podcast from the Alliance for Excellent Education that explores the rapid changes happening in the body and the brain during adolescence and what these changes mean for educators, policymakers, and parents. Subscribe to Critical Window on Apple Music, Stitcher or wherever you find podcasts. Hans Hermann:	Welcome to Critical Window, a podcast from the Alliance for Excellent Education that explores the rapid changes happening in the body and the brain during adolescence, and what these changes mean for educators, policy makers, and communities. 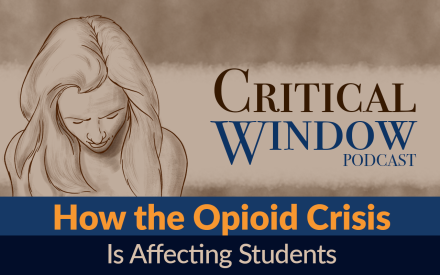 This week on Critical Window, we’re learning more about the opioid crisis, how it affects adolescent students, and how educators can support students impacted by the crisis. Dr. David Patterson Silver Wolf is professor at the Brown School at Washington University in St. Louis. A faculty scholar in the Washington University Institute for Public Health, and a faculty affiliate for the Center for Violence and Injury Prevention. At the Brown School, he teaches substance abuse courses, serves on training faculty, and chairs the American Indian and Alaska Native concentration in the Master of Social Work program. He’s the director of the Community Academic Partnership on Addiction, which works with several St. Louis based organizations to bring science to addiction services. Dr. Patterson Silver Wolf has over 15 years of experience providing clinical services in the substance abuse disorder treatment field. He investigates how empirically support interventions are implemented in community-based services and factors that improve underrepresented minority college students, academic success, and American-Indian and Alaskan Native health and wellness, particularly issues related to college retention. He was recently appointed to the National Academies of Science, Engineering and Medicines Committee on Medication Assisted Treatment for Opioid Use Disorder. Welcome to the show, Dr. Patterson Silver Wolf. Hans Hermann:	I would like to set the stage before we get into questions. While the opioid epidemic has received a great deal of press coverage and has been repeatedly called out as a top priority of both the Obama and Trump administrations, I think it’s good to revisit some facts and figures to appreciate the scale of this issue. According to a 2014 report, “A Nation in Pain,” the US consumes approximately 80 percent of the world’s prescription opioid drugs, while making up only 5 percent of the world’s population. The CDC, the Center for Disease Control, said that nearly two-thirds, 42,000 or 66 percent, obviously, of drug overdoses in 2016 involved prescription opioids, illicit opioids, or both, which was an increase from 27 percent in 2015. In comparison to those 42,000 deaths, 38,000 individuals die in car crashes or car-related injuries in 2016. According to the CDC, opioid overdoses continue to rise in 2016 to 2017 by 30 percent, across 45 states, and it’s been estimated that this opioid-related cost exceeds $78 billion for the US economy. So, needless to say, this is a crisis, and a growing one. Could you explain how we got to this point as a nation? David Patterson:	Right, thank you. So, the latest numbers of ODs are about 70,000, so we’re about 70,000, and continuing. I think how we got to this problem depends on who you ask, and let me just say I’m here speaking as myself, not behalf of any other person or community. So, I would say it’s a few issues. One, pharmaceutical companies have a big responsibility in this epidemic, and if you’ve watched 60 Minutes or the news, you’ll see that pharmaceutical companies pumped out a lot of opioids into our communities. There was, just on 60 Minutes last night, there was, again, they reported a small town in West Virginia had millions of pills shipped to that one small town that had a few thousand people who lived there. And so, pharmaceutical companies have responsibility, but also, prescribers. And how do you deal with people who say that they have pain? And a lot of times, doctors are in a position to either tell their customers, and that’s how they see patients now, as customers, they went to a rating of how satisfied are you as a physician? And so, are you gonna upset your customer or are you gonna do something for them that would keep them coming back? And so, when patients or customers say that they have pain, obviously, the next move is to prescribe medication. There’s other people who say the responsibility lies with those who take the medication, and in some sense, that could be true. But these are very addictive medications, and so, there’s a lot of data that show once you start taking these medications, it changes your brain, and you quickly become addicted to these. Hans Hermann:	This epidemic is impacting individuals, families, schools, communities across the nation, as you said. Are there areas of the country or specific demographic groups that are more at risk of substance abuse, specifically use of opioids? If so, where, and whom? David Patterson:	I would say large amounts of people who express pain, obviously, are prescribed opioids, and they become addicted to them. Not all of them, but a lot of them do. But I would say ground zero for America’s addiction is West Virginia. They have more ODs than any other state in our country, but nobody’s immune to this. There used to be this idea that back several years ago that this was an urban problem by minority folks. Now, we’ve seen on the news that young, non-minorities are dying from this crisis, this epidemic, and so, it’s spread across our communities to where anybody could really be impacted by this. But a lot of older age folks are high risk. And obviously, minority communities, underserved communities are high risk for this problem. Hans Hermann:	You’ve personally dealt with substance abuse from early on in your childhood and into your 20s. Could you take a moment to share your story for those who aren’t familiar? David Patterson:	Sure. There’s still some hesitation about me, or anybody else, sharing loudly that they’re a person in recovery. There’s still a lot of stigma around it, and even me now, I’m saying reaching 60, and a tenured professor, there’s still some reluctance to talk about this part of my life. And so, I could say I grew up in a home with a father that was an alcoholic, and very violent, and you grow up, speaking for me personally, you grow up in a home like that, you have these issues, you try to figure out why these things happen to me, what’s wrong with me? I always felt like I was a square peg in a round hole. I would look out on the world, and everybody looked good but me, and I would compare my internal turmoil to people’s external life, and think, “Boy, everybody looks like they’re doing okay but me.” And so, it’s easy to be talked into trying different, what we would consider medications, to make myself feel better, or the same, or to fit in. And so, I was taught very young on how to drink alcohol. I was allowed to smoke cigarettes, and so it was – I don’t wanna say it was a predetermined path, but it made my path a lot of easier to continue to take risk with other drugs. And before too long, I was taking medications. I had prescription drugs, I was smoking marijuana, drinking alcohol, and it just led to a life where I couldn’t imagine my life with or without alcohol or drugs. And so, I eventually went to treatment. I was 26, I went the old-fashioned way. I was forced to go, and was allowed to – with a very structured program, allowed to find my path into recovery. Hans Hermann:	Well, thank you for sharing, we really appreciate you being open and I’m sure other folks who may or may not be able to relate, but I think it says a lot that you’re able to be open about that, and we appreciate it, again. You started getting into how you eventually overcame your substance abuse issues. What other individuals or support systems helped you do that? David Patterson:	For me, and I think for a lot of people, I had to reinvent myself. It was hard for me to be a different person, continuing to do the same things that I’d always done. And so, there’s a saying that says, “If you want to change who you are, the first thing you have to change is your thinking.” You can’t be a different person thinking the same things. And so, in order to change my thinking, I had to get around different people that had different thought processes than what led me to a life of alcohol and drug use. And so, I needed a different community, a sober community, folks that could teach me how to do typical things, how to go through my life without reaching back, and reaching for certain medications, and trying to live life on life’s terms, which is hard to do. Life is pretty tough. And so, people need certain medications even to get through life. A lot of times, I’ll wake up in the morning, and think, “I need coffee.” The simple thing is coffee. And so, it took a number of, I would say, months and years to clean up the wreckage of my past, and learn how to live life in an honest and honorable way. And this was an opportunity for me to reconnect with my culture, as well. When I was young and drinking, I didn’t care much about my people or what they did, or who they came from, or who they are, or what they believed. But it was after I got clean and sober that I was able to make a full circle, and begin to learn from my uncle and my people who we are, and what we stood for. Hans Hermann:	And again, just for those who aren’t familiar, your people, you’re referring to – I’ll let you speak on it, of course. David Patterson:	Sure, so Native American, American Indian. And so, my folks are both Irish and Native, and so, I knew a whole lot about the Irish way of life, and it took me a number of years just to understand my Native culture. Hans Hermann:	Looking back on that time in your life, and beyond that, how did all these experience shape your views on the challenges with the opioid abuse and substance abuse, particularly in adolescence, ’cause much of this was taking place during your adolescence, and the challenges our nation faces with this crisis. David Patterson:	It’s complex. It’s a huge challenge, especially in adolescence, when you’re trying to figure things out. I have teenage boys now who have never seen me drunk or on drugs, and they understand the addiction and all of those things. And still, even with that, they’re trying to find their way, who they are. And so, that’s easy to continue to rely on. And I think with just America, we’re used to having pills pitched at us to solve our problems. We’re one of two countries that allow pharmaceutical companies to pitch right to us with commercials. And if you’ve ever watched these commercials about all these medications, they go through these side effects that if you listened to ’em, they’re shocking. But the commercial has people walking dogs, and on beaches, where it distracts you from those side effects. And so, we’re used to saying, “Hey, go ask your doctor what pills are available to fix this thing in you.” And I think that’s hard to stop for us. Hans Hermann:	I do want to say, I think your story is not only incredible, again, thank you for sharing – it’s really inspiring, and it demonstrates what we know about the science of adolescent learning. Adolescence is a time where young people have immense potential, and there’s a great deal of change happening in both the body and the brain, which really makes it a time of opportunity and risk. But your story shows that a lot can still be determined in the trajectory of a young person’s life, and that we should never give up supporting them, no matter what challenges they face during that period. 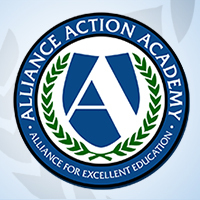 As you know on this podcast, the Alliance for Excellence in Education, we focus on the developmental period of adolescence. So, how does substance abuse, and specifically, opioid abuse, during adolescence, compare to other age demographics? David Patterson:	I would say on the developing brain, addiction/substance use disorder, the term is substance use disorder, it is a brain illness, it is a brain disease. And so, opioids changes your brain, just like alcohol. And it can change it permanently. There’s some changes in the brain that can never come back to originally how Mother Nature intended it. So, for opioids, let me say, alcohol is still the number one killer of Americans. It kills more people than drugs combined. And for, young folks, for adolescents, most of the time, it’s tobacco and alcohol that’s first tried. And I don’t want to say they’re gateway drugs or anything is a gateway drug, but I would just stop to say that most substance that are used in adolescence is tobacco and alcohol. And trying to do all the things that adolescents need to do, go to school, be on time, study, all those certain things, it is a barrier to those things of success. Hans Hermann:	And you started answering this, then are there other ways that we should be aware of how opioids are affecting their physical health, or their development, their brain development, their ability to learn? David Patterson:	I think our schools are overwhelmed, teachers are overwhelmed, and I think in a lot of states, we’ve removed social workers from schools, we’ve removed a lot of things from schools that we would think would be healthy. I would say any school that is aware that a young person is in a home where there’s known alcoholism or alcohol use disorder, drug substance use disorder, violence, those are high risk, should be a trigger for something for young people to live in those types of homes, is risky. And it’s not so much that the adolescent has an alcohol or drug problem. A lot of times, it’s their social environment that should be assessed. And then, if there is alcohol or drug use, then the appropriate diagnosis, if there is one, or treatment, needs to be thought about. Hans Hermann:	I would love for you to dive a little bit more into what you were just talking about. It was a nice segue into the next question I was gonna ask, which is that the opioid crisis and any substance abuse isn’t just limited to students who are users, but also students who have parents, or guardians, siblings, family members, or friends who are users themselves. So, how does it, having an opioid user or a substance abuse user in their social circle, what type of impact does that have on a student’s life? David Patterson:	Just an example, you probably might do this, too. I’ve watched these videos where the father or the mom are off at war, and they show these videos where they surprise a young person with their mom coming home, and how emotional and how relieved young people are to see their loved ones. With 72,000 people a year OD’ing or dying, along with OD’ing, to see their loved ones in jeopardy of harm has a great impact on young people. Oftentimes, they don’t know how to express that, and so, these stressors and young folks not knowing how to verbalize those things, it’s difficult to broach that, or to figure out which one of these kids in this middle school building are in need of our help, and it’s very difficult in a community where there’s harm to one, it affects everybody. And so, if there is an OD or if there’s a substance use disorder in somebody’s house, you can’t watch the news without realizing that this leads to a disastrous ending, and young people are scared. I was always scared for my dad, although I didn’t appreciate what he did to our family, there was still this nervousness hat it was gonna end badly. Hans Hermann:	So, you’re the director of the Community Academic Partnership on Addiction, we mentioned that earlier. It’s CAPA for short. Could you just tell us a little bit more about CAPA and the type of work that it undertakes? David Patterson:	Sure, so I have some research, and my research is about how to bring science and data and technology to frontline, community-based treatment facilities, substance use disorder treatment facilities. And so, in order to carry out my research agenda, I need partners. And so, not only do academic folks need community partners; community partners need academic folks. And so, when I arrived at Washington University in St. Louis in 2012, when I was hired there, the first thing I did was basically just googled addiction treatment in St. Louis, and luckily, I landed on a program. It’s Bridgeway Behavioral Health at the time. And this was really early in the opioid epidemic. So, we worked together, and we both have resources, and we share those, and I teach in those communities, so social workers go to those communities, and I hold classes there. And we also provide research on what’s the best treatment. If they have a special case, we try to help those folks out. Hans Hermann:	Great. And are there other organizations or partnerships that are making strong headway around these issues of the opioid epidemic or substance abuse that people should be aware of? David Patterson:	I think so. There’s an effort now to create this system of care. So, from emergency rooms, to hospitals, to community-based practice, to housing, they’re all trying to figure out how to work together, and not just work in these silos, which is hard to do, because we fund things in silos. And so, it’s a very difficult thing, because they all have their own electronic health record systems, and so, they work independently and trying to figure out how to work across is a challenge, but it’s part of the effort CAPA tries to do, and I think other communities are trying to figure that out, as well. Hans Hermann:	You mentioned earlier that this is an incredibly complex issue, and for schools, this is a complex issue to deal with. How should educators start navigating the process of understanding and learning about opioid related issues that their students are dealing with, oftentimes, with these issues happening outside of school? David Patterson:	Again, it’s a challenge, and we’re asking educators to deal with things socially. And so, you would have folks who would say educators need to educate, and if there is a problem, they need to refer to the appropriate folks. But oftentimes, insurance, there’s the resources that are needed oftentimes are not available. There has to be this – and I’m gonna do a prevention plug for my prevention folks, is that there has to be this effort. We have in the past years, from – we’ve lowered tobacco use, pretty much everybody uses a seatbelt. And all this was done through messaging and prevention. And unfortunately, not a lot of dollars goes towards prevention. Not just students who are high risk, but just regular students. And so, we didn’t talk about this, but there was just an $8 billion bill signed by the President, Congress came out that deal specifically with opioids. It’s a nice start, but HIV and AIDs, we spend about $24 billion a year for that. And I’m not saying it’s a drop in the bucket, but we need a whole lot more money and resources if we’re gonna be serious about this, and we’re gonna have to do real prevention in our schools. Unfortunately things like DARE, everybody knows about DARE, it’s nice for police, but we don’t have police come in and talk about other medical illnesses. I don’t know why we have police come in and talk about substance use disorder. It sends a bad message that this must be bad, because cops are in here talking to us about alcohol and drugs. But also, it hasn’t been proven by science to be effective. I think we need to be smarter with our prevention money. Hans Hermann:	How can teachers support, specifically teachers, in their classroom and then throughout the school building, beyond the classroom, a student who faces these issues, opioid related issues, either from their own use or again, from the use of a family member or friend? David Patterson:	So, if they become aware of that, obviously, there needs to be the space where this young person can talk about it, where they feel safe talking about it. I was trained not to share my family’s experiences with anybody outside the family. And so, I really had to trust somebody to talk about what was going on in my household. And oftentimes, it was not a teacher. And so, but there are positions in schools that are not teaching positions. Social workers or whatever they might call them, that there has to be this connection. And there has to be – we talk about being Carl Rogers, of being empathetic, genuine, those non-judgmental – as soon as I sniffed out somebody was gonna judge me, I was done. And so, I think a lot of young folks will see that, too, so there has to be somebody in their life or in that building that can be approachable. Hans Hermann:	How can school leaders, superintendents, and principals, create effective support systems in their schools and districts for students who are dealing with these issues? David Patterson:	I think talking about it, not ignoring what’s going on in our communities. It’s hard for anybody in our community not to be impacted by what’s going on with the opioids. It’s so widespread. So, just creating spaces where young people can speak and talk, and not ’cause what’s not talked about is an indication that there’s some stigma related to that. So, just being open about that, and being aware of what’s going on, and if there is a death or something that happens, to have these wraparound services for young folks, so they can deal with those. Hans Hermann:	And for those who, when you say around wraparound services, what are some examples of what a school might be implementing to enact some of those? David Patterson:	Experienced social worker who knows community resources that if there are things outside of the school that the school’s not providing that they’re aware of where they can send folks to. I would say just resource experience. Hans Hermann:	What do you see – you started to mention this, you mentioned the amount of money that’s been invested recently by Congress, and by the administration. What do you see as the next steps for implementing large scale policies, and educational practices, or school practices that will support students who are affected by the use of opioids, and again, the use of opioids in their family and friends? David Patterson:	I would say, just like we’ve done with seatbelt, with smoking, it has to be these large campaigns of prevention. It’s gonna cost billions of dollars. What’s important to us as Americans, we fund. And again, if you’ve watched – the reason I keep bringing up 60 Minutes, there was an episode on that last night, to where there’s an attorney that led a tobacco settlement. And he indicates that there could be hundreds of billions of dollars that’s gonna come from pharmaceutical companies that pay for the damage that they’ve done. I’m not saying it, I’m repeating what he said. And that these dollars have to go down to prevention at the level of young people, from kindergarten on, in order to address this. It has to start with our young folks. Hans Hermann:	Well, thank you so much for joining us today. Thank you again for sharing your story, and I think it sounds like we’re starting to make those first steps of awareness, talking about it, and funding it, but we have a long way to go. Again, our guest is Dr. David Patterson Silver Wolf. He’s a professor at Brown School at Washington University in St. Louis, a faculty scholar in Washington University Institute for Public Health, a faculty affiliate in the Center for Violence and Injury Prevention, and Director of the Community Academic Partnership on Addiction. It was great to have you here on Critical Window. Thank you so much for chatting with us today.